A Social Worker Assistant helps social workers or case managers with some of the duties of their jobs, including education clients in available assistance benefits, interviewing clients to assess needs, documenting information, and other support tasks. Employers don’t spend a lot of time on each resume, so be sure to write a clear objective statement that details how you are a perfect fit for the job. 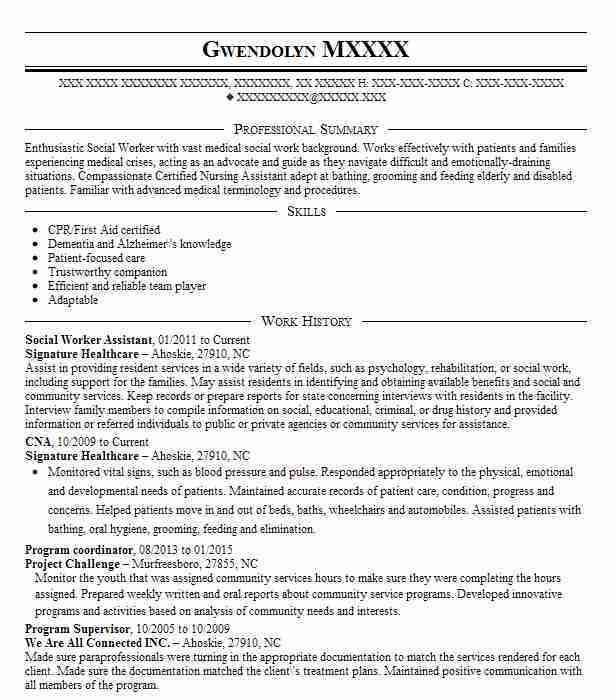 Active listening skills, social perceptiveness, sensitivity, and some knowledge of human behavior and psychology are required traits for a Social Worker Assistant. 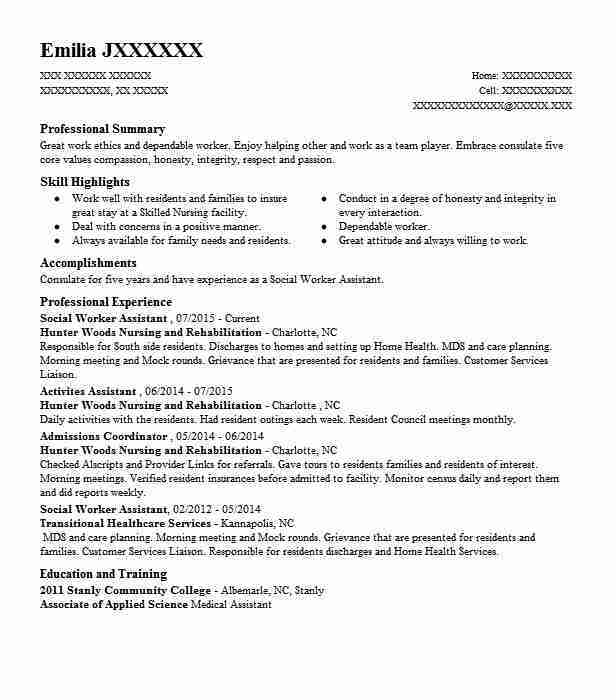 Other necessary skills include writing and organization for documenting client records. The ability to interact with a wide range of personalities will be especially helpful. 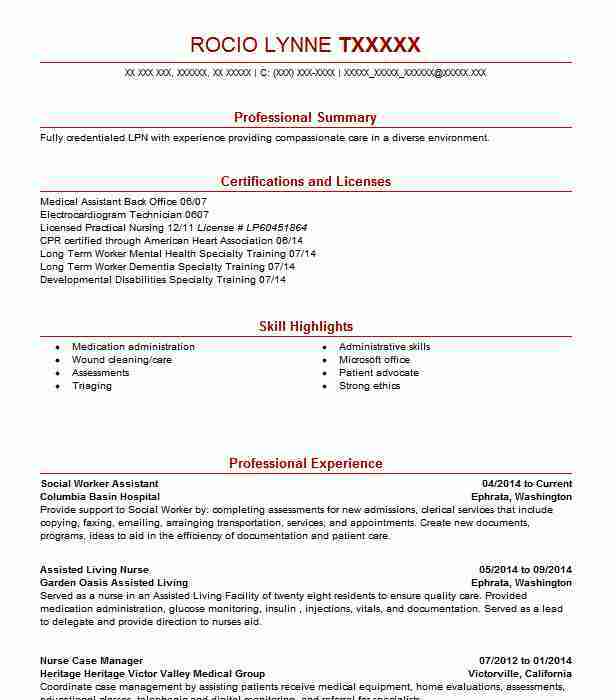 When writing your resume objective, focus on how your strongest skills or experience relate to the job you are applying for. Always use the name of the company you are applying for to show the employer that you are sincerely interested in working for them. Use the statements below as examples and write your own, based on your unique skills and background. 1. 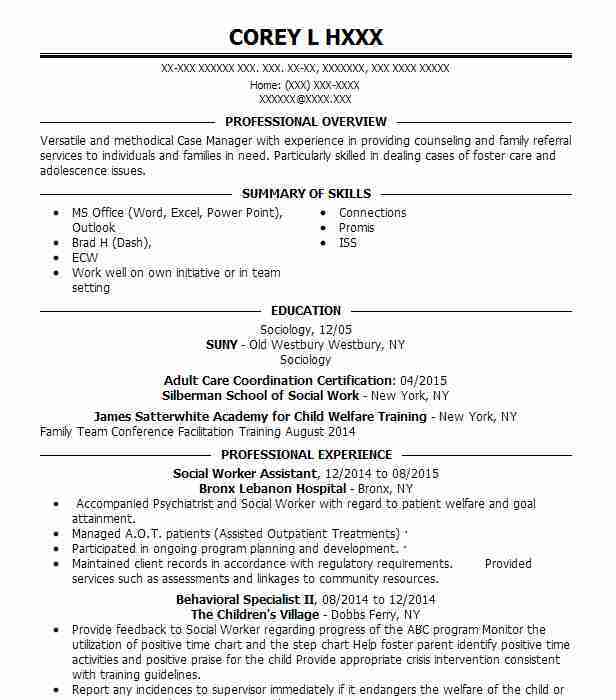 Caring and empathetic Social Worker Assistant seeking a position with ABC Services to utilize strong organization skills, responsibility, and compassion to assist clients with obtaining social services. 2. Social Worker Assistant with two years’ experience in a managed care facility seeking a position at ABC Services to use empathy and communication skills to assess and coordinate patient care. 3. Obtain a Social Worker Assistant position where a background in psychology and strong knowledge and understanding of government resources can contribute to the excellent quality of care provided by ABC Healthcare. 4. Seeking a position at ABC Healthcare as a Social Worker Assistant to utilize excellent communication skills and a sincere desire to help people. 5. Experienced Social Worker Assistant seeking to use organizational skills and empathetic communication to contribute to the well-being of patients at ABC Healthcare. 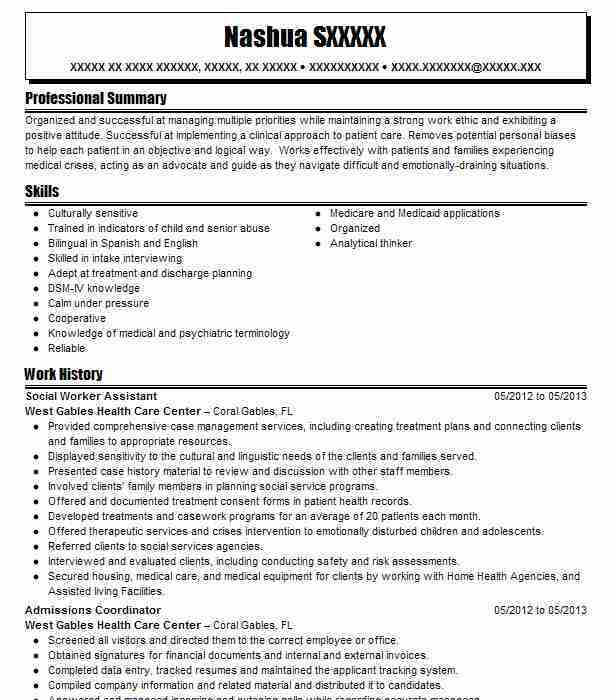 Summary: Fully credentialed LPN with experience providing compassionate care in a diverse environment.